100ft sailing superyacht custom built to deliver 5 star charters in the most remote parts of South East Asia. 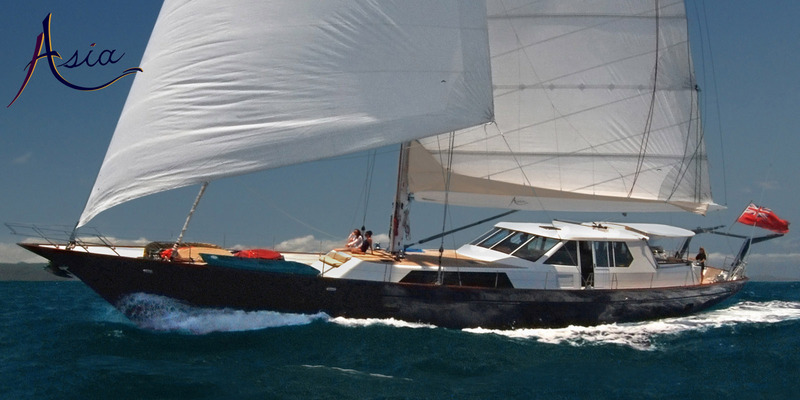 SY Asia is a powerful, performance sailing yacht with the very best equipment. Fully MCGA compliant. An enormous fuel capacity coupled with state of the art systems makes the yacht capable of going anywhere and staying anywhere for extended periods of up to 6 months at a time. 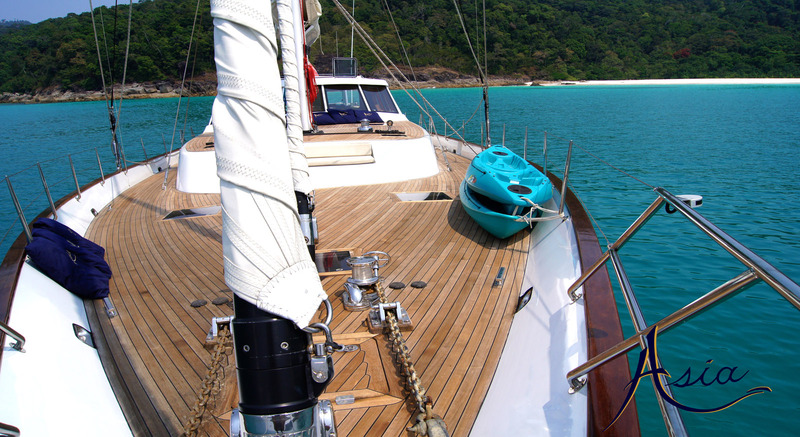 Great crew who have been delivering top end yacht charters in SE Asia for 18 years. They write the cruising guides for the region. Best value for money with a charter rate that includes the yacht, fuel, gourmet food and soft drinks. There are no hidden charges unlike most other yachts. The yacht migrates with the seasons taking it to the very best destinations in South East Asia at the best time of year. A fabulous range of remote exotic destinations: many of our guests liken our charters to falling into the pages of National Geographic magazine. A strong focus on eco-friendly activities with highly knowledgeable guides: snorkeling, scuba diving, surfing, wildlife, jungle walks, cultural visits…..
SY Asia is a cutter rig sloop designed for excellent sailing performance and is superbly equipped with the latest in navigational, communications, entertainment and safety equipment. The yacht has a proven ability to deliver 5 star charters for extended periods in the most remote locations. 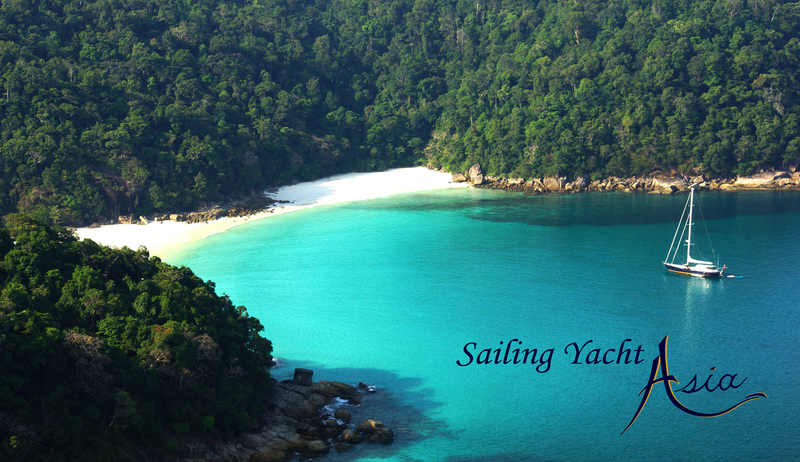 SY Asia is a magnificent luxury charter yacht based in South East Asia. 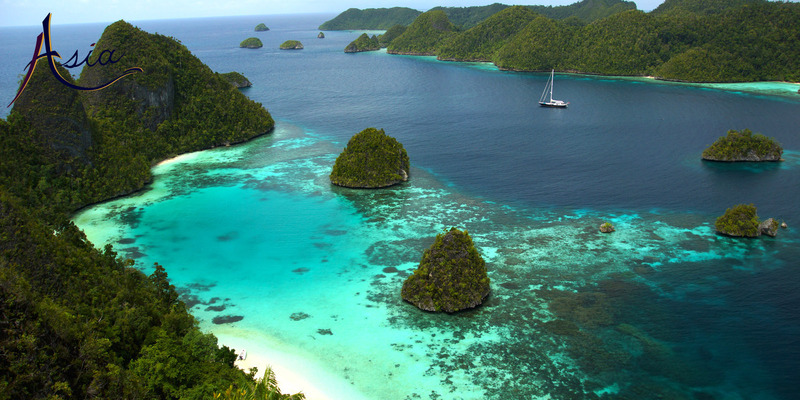 She is available for charter in the remote Mergui Archipelago (Burma), the Andaman Islands (India), Thailand and Malaysia and in the Komodo, Raja Ampat, Triton Bay, the Banda Sea, Sulawesi and elsewhere in Indonesia. She has a cutter rig sloop designed for excellent sailing performance and is superbly equipped with the latest in navigational, satellite communications, entertainment and safety equipment. 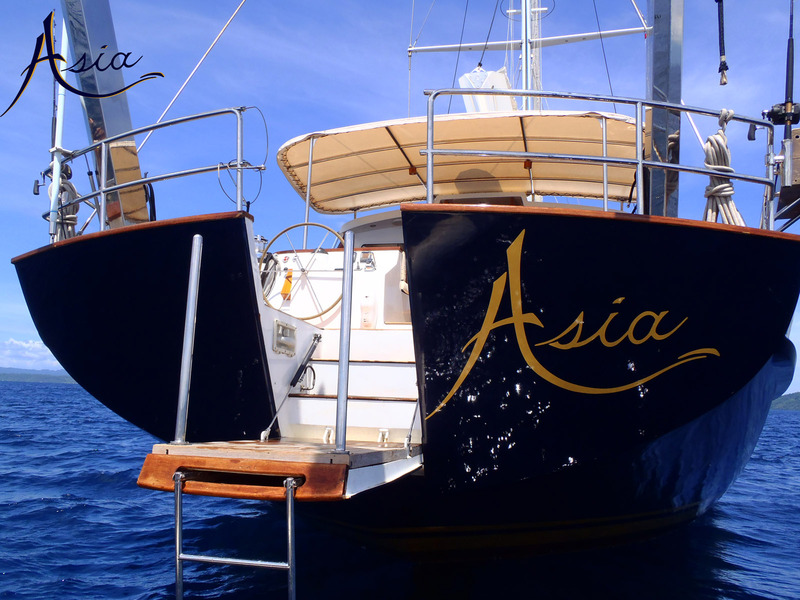 SY Asia is insured for charter with Lloyd’s of London. The sweeping teak deck is flush and spacious with room for all guests to luxuriate in sun or shade while enjoying the ultimate sailing experience. We focus strongly on eco-friendly activities aboard the yacht including performance sailing, guided Scuba diving and snorkeling, guided jungle walks and wildlife viewing, kayaking, catch & release fishing, surfing and just relaxing on some of the most beautiful beaches in the world with not another tourist within 100 miles. "We give our guests very special experiences in places that no one else can get to"
Based on our unparalleled experience of sailing in Southeast Asia, we have designed a yearly route for the yacht that takes us to the most fabulous destinations at the best time of year.